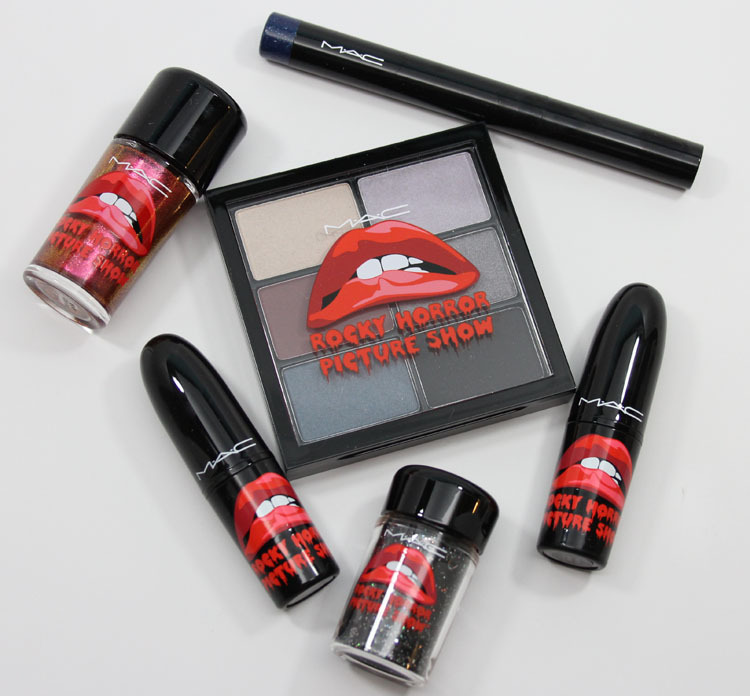 The MAC Rocky Horror Picture Show collection has arrived! This collection celebrates the 40th anniversary of the cult movie. It’s mostly sold out online already (sorry I always get MAC samples sent after things go on sale) but it is in stores today through October 30th, or while supplies last. If you grew up in Berkeley, where I did, it was basically a right of passage to go to a midnight showing at the UC Theater to see The Rocky Horror Picture Show. In 1985, when I was 13, a bunch of my friends and I went for someone’s birthday party. Yep we hung out at her house, probably ate pizza and cake, exchanged presents, then her mom dropped us off at 11:30pm on University Avenue (not the greatest area for young kids that late) to watch the show. It was great! The show ran there for 22 years until the theater closed in 2001. But I hear it might be coming back! The collection consists of four Lipsticks, one Lip Pencil, one Eyeshadow x 6, two Glitters, one Pigment, two Chromagraphic Pencils, two Greasepaint Sticks, one Superslick Liquid Eye Liner, one Zoom Fast Black Lash, one Powder Blush, one Sculpt and Shape Powder, one Set Powder, two Nail Lacquers and a set of 7 Lashes. Everything is in shiny black packaging with the Rocky Horror “logo” stamped on (not stickers). Over a primer, these all swatched pretty decently but I did have to go over Crystal a few times to get it to really show up. I liked Graphic Style and Heavy, Dark and Pendulous the most of all the shades. Carbon, as usual, is crap. 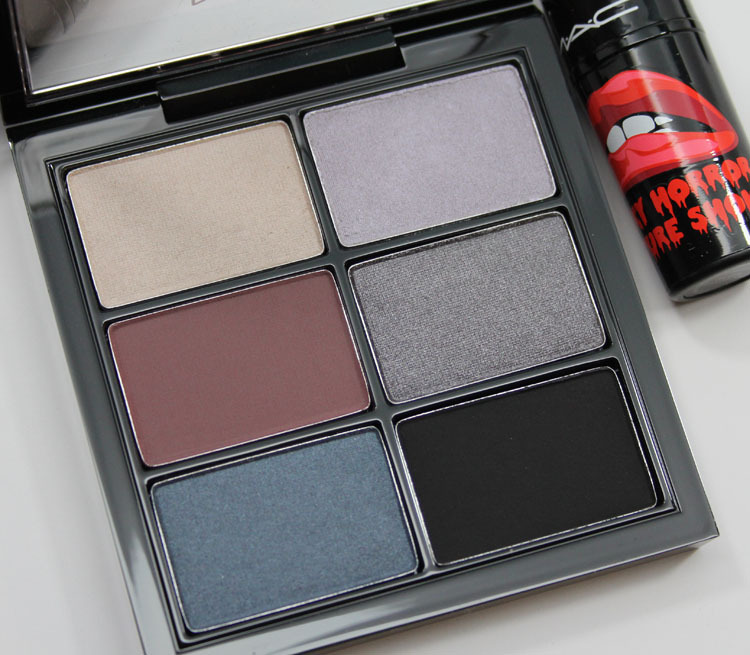 This is the worst black matte eye shadow, I cannot figure out why they don’t fix the formula! 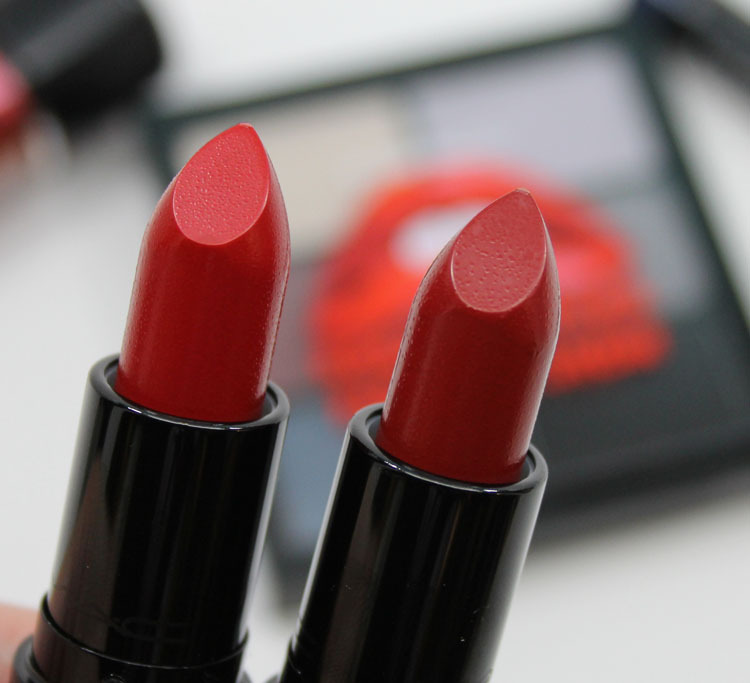 Both of the lipsticks were just beautiful. I got great pigmentation from them, and they’re both fabulous red shades. 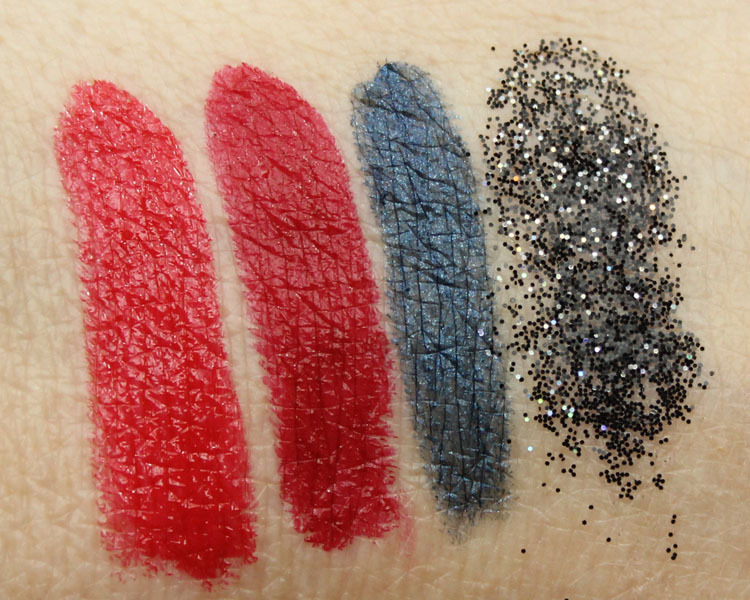 Oblivion is nice and shiny, while Frank-N-Furter is a great deep matte. B has a pretty good formula, but I never wind up using these things for some reason. 3D Black is cool, obviously it’s prone to major fallout though. Bad Fairy is a re-promote from many years ago. This is a red/pink with multi-changing pearl. This was three thin coats. So I am kind of not blown away by what I saw from the collection. 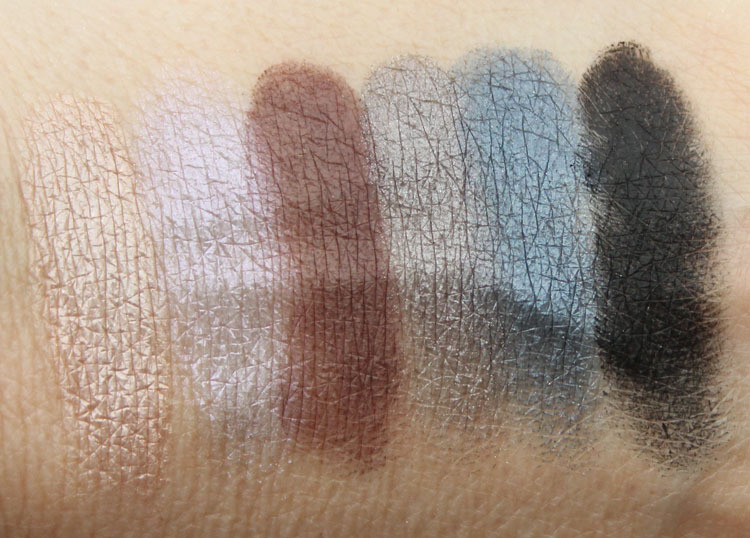 I wish they had created more new shades rather than just done re-promotes. 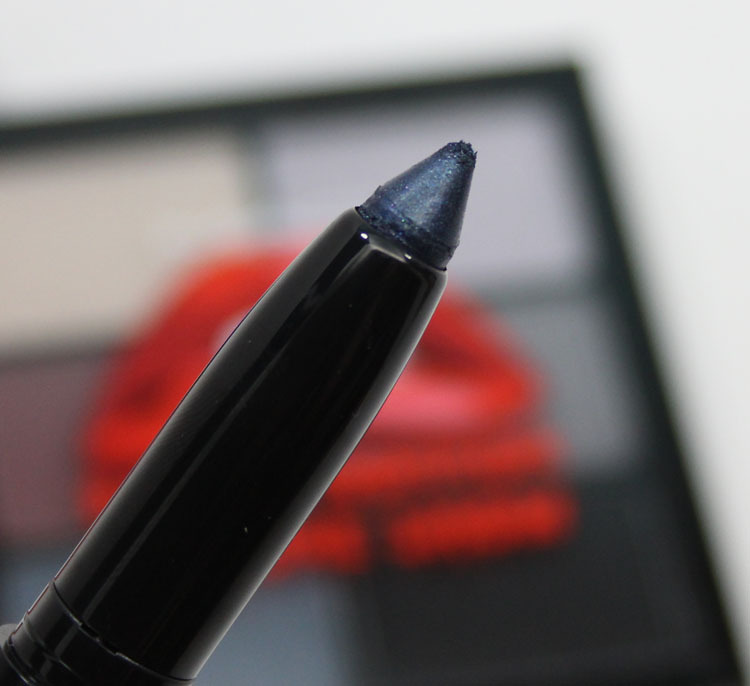 I think the best things for me were the two lipsticks. Having said that I do think the shades match what they use in the movie pretty well, so it does make sense overall. Did you/will you be picking anything up?